Most purchases made with business funds can be classed as deductible business expenses... or, more to the point, tax deductible expenses. Most people would love to pay less tax! So it really pays to know what expenses can be classed as deductible. Allowed expenses are your everyday type of expense essential for running a business and can be brought through to the profit and loss statement to reduce the net profit, thereby reducing the tax. Listed below are deductible business expenses that are allowed for tax purposes for all types of businesses. It is not necessary for every single one to be used within the bookkeeping system, and the bookkeeper / owner can decide which ones are relevant for their business. Other ones can be added that aren't even on this list if required. There are limitations or things to note for some of them which have been marked with an asterix and the reason detailed further down the page. 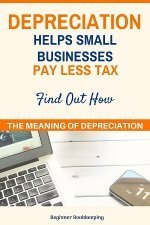 Amortization and Depreciation – see below under non-deductible expenses to learn what these tax deductible expenses are calculated. Charitable Donations – A gift of money to a registered charitable group is allowed but they must issue the business with a receipt and the business must keep this original receipt readily available as proof for tax purposes. Entertainment expenses – only 50% of food and beverage can be claimed, so if a client is taken out for a meal whether lunch or dinner then only half the cost is deductible. 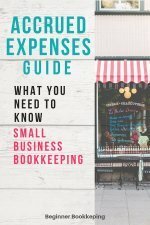 Also note that if the business owner uses personal funds to purchase a business item these can be brought into the bookkeeping system to be included as deductible business expenses. The receipt must be retained in the filing system. These are items as listed below that, according to accounting / taxation rules, have to be capitalized and included in the bookkeeping system as assets. This is because they are not expected to be consumed or used up within a year so they cannot be termed as ordinary expenses. 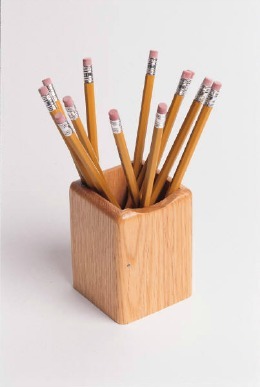 The good news is that depecreciation on most fixed asssets can be included as a deductible business expense. Depreciation is the method of annually reducing the value of the fixed asset due to wear and tear and is spread out over the expected life of the asset. 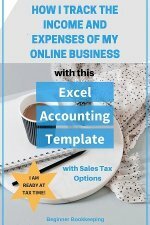 This is something the business accountant will calculate at the end of the financial year so the bookkeeper does not need to be concerned with depreciating anything during the course of the year. However, if you are not using an accountant at tax time then you can source depreciation rates from the tax department. Tom Green Handyman brought a computer valued at $2,500.00 and the computer's life expentancy is three years. The cost price is divided by three which comes to $833.33 and this is the amount carried to the profit and loss account each year for three years as a tax deductible expense. Further to this is amortization which is the same as depreciation but for intangible assets like patents and trademarks. The expense of purchasing inventory is only included in the profit and loss account as cost of goods sold when the inventory is actually sold. Other non-deductible expenses would be personal purchases which need to go to the equity account called drawings if business funds are used for these.